PARIS (AP) — France's pro-EU government and Italy's populist leaders sparred anew Friday, as business giants from both countries appealed for calm amid the neighbors' biggest diplomatic spat since World War II. In Italy, the deputy prime minister who's the focus of French anger stood his ground, renewing criticism of France's foreign policy. French officials said Friday that this week's recall of French Ambassador Christian Masset was prompted by months of "unfounded attacks" from Italian government members Luigi Di Maio and Matteo Salvini, who have criticized French President Emmanuel Macron's economic and migration policies. 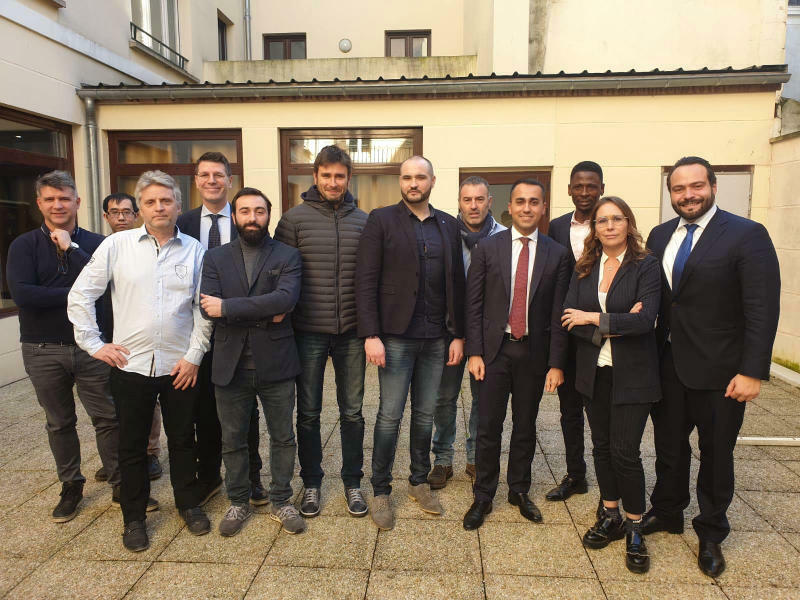 But the main trigger for the crisis appeared to be Di Maio's meeting in a Paris suburb this week with members of the yellow vests, a French anti-government movement seeking seats in the European Parliament. French government spokesman Benjamin Griveaux said the visit violated "the most elementary diplomacy" because it was unannounced. Referring to Italy's populist leaders, he criticized a "nationalist leprosy" eating away at Europe's unity and said EU members should "behave better toward partners." A participant in the meeting, French activist Marc Doyer, told The Associated Press that it was initiated by Di Maio's populist 5-Star movement and aimed at sharing advice on how to build a "citizens' movement." "It's a political game by certain people," he said. "Free movement exists in Europe, and the meeting didn't cost the French taxpayer anything." A borderless Europe "shouldn't just be about allowing free circulation of merchandise and people, but also the free circulation of political forces that have a European outlook," he said in a Facebook video while visiting Abruzzo. 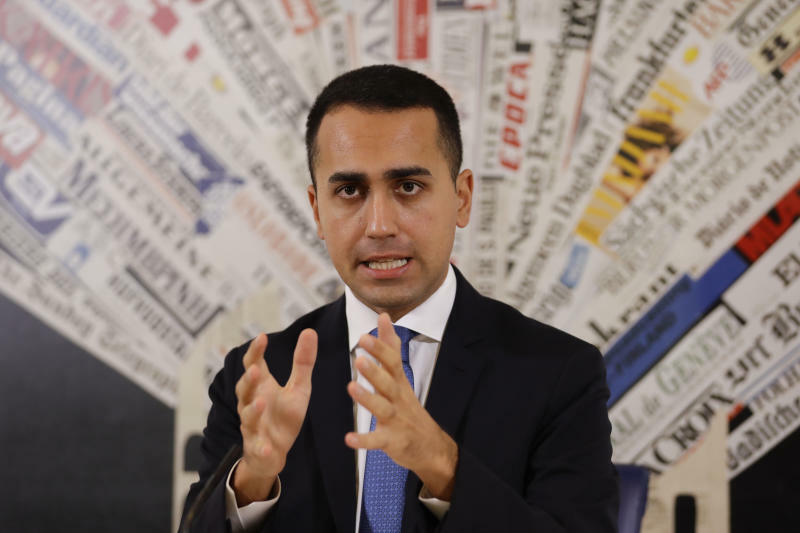 Di Maio again blamed France for policies in African countries that he said had impeded their growth and fueled the flight of economic migrants to Europe. He also implicitly blamed Paris for the chaos in Libya that has led to years of instability and growth of migrant smuggling networks following France's involvement in the NATO-led operation in 2011 that ousted former Libyan dictator Moammar Gadhafi from power. 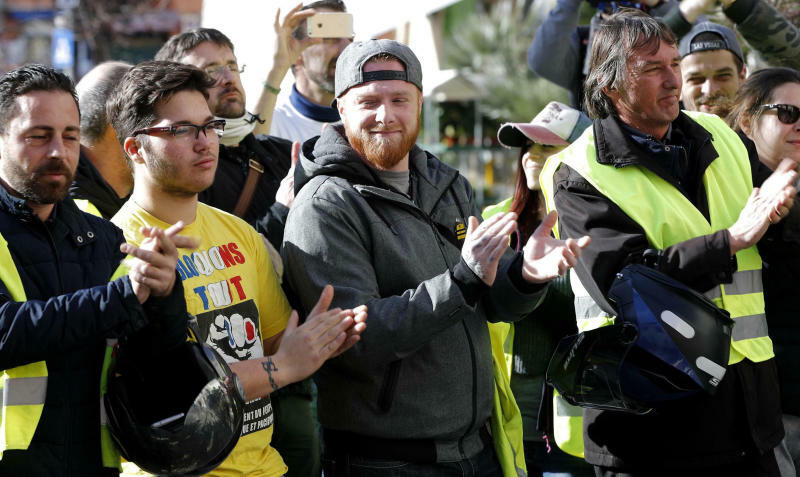 Italian Transport Minister Danilo Toninelli, meanwhile, offered France's yellow vest movement technical advice on launching a version of the 5-Star movement's online portal, which allows registered party members to vote on policy decisions and candidates. "If useful, we can offer them a hand and do political activities in service of the French people," Toninelli said, according to the ANSA news agency. The standoff was clearly sending jitters through Europe's business world, given that the two countries are top trading partners and powerhouses of the EU economy. A pressing concern in Italy is the future of struggling national carrier Alitalia, amid rumored interest by Air France in some form of partnership. Italian opposition leaders seized on a report Friday in business daily Il Sole 24 Ore that the French carrier had cooled on a deal as a result of the standoff. Di Maio, who is also Italy's economic development minister, pushed back. "I've been following the Alitalia dossier for months. Air France's enthusiasm hasn't cooled now," he said. The Italian business lobby Confindustria and its French counterpart Medef wrote to their respective leaders calling for "constructive dialogue" to resolve the dispute, which they warned could threaten Europe's global standing. "It's necessary that the two historic protagonists of the process of integration don't split, but reconfirm their elements of unity," the presidents of the two groups wrote Macron and Italian Premier Giuseppe Conte. "Europe is an economic giant and we have to work to make it become a political giant as well." French Foreign Ministry spokeswoman Agnes von der Muhll told the AP that the ambassador recall "is an unprecedented gesture toward a European state that is aimed at making clear that there are things that are not done between neighboring countries, friends and partners within the European Union."